The Inca - HISTORY'S HISTORIESYou are history. We are the future. The emperor of the Inca was known as the Sapa Inca. 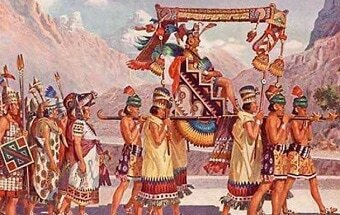 The first Sapa Inca was Manco Capac. He founded the Kingdom of Cuzco around 1200 CE. The city of Cuzco would remain the capital of the empire as it expanded in the coming years. The Inca expanded into a great empire under the reign of Pachacuti. Pachacuti created the Inca Empire which the Inca called the Tawantinsuyu. At its height, the Inca Empire had an estimated population of over 10 million people. 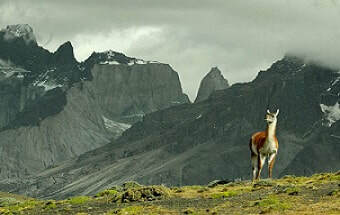 ​The Inca were not the first people to live in the Andes. As early as 5000 BCE, villagers were farming the western part of South America. Like other ancient cultures, those early settlers worshiped many gods. As time went by, they learned how to work metals and they made beautiful pottery. Eventually, their towns grew into cities. With others, the Inca began as just one of many small South American tribes. The Sapa Inca was the all-powerful emperor and leader of the Inca people. Inca means “emperor.” Sapa Inca means “the only emperor.” The Sapa Inca ruled everything and owned everything. 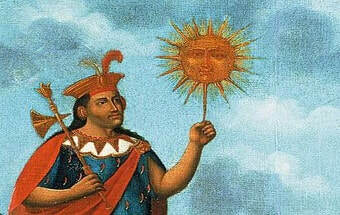 The Inca was not just a ruler; he was believed to be a descendant of the sun god, Inti. As a descendant of the gods, everything the Sapa Inca touched was considered holy and preserved. By 1500 CE, the Inca Empire was huge. It stretched for 2500 miles from the north to the south and had a population of around 12 million people. In order to manage and maintain such a large empire, the Inca needed a sophisticated and organized government. Because the Inca empire was so large, its government was large as well. 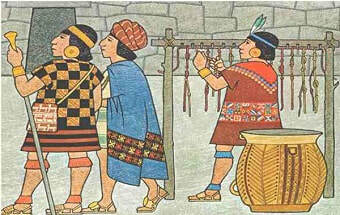 Inca society had two main social classes - an upper, elite class and a lower class made up of commoners. 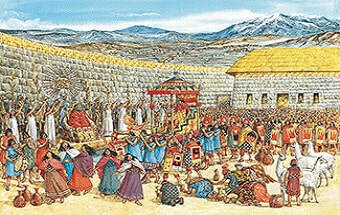 The king, priests, and government officials made up the Inca upper class. Nearly 90 percent of all Inca were commoners. 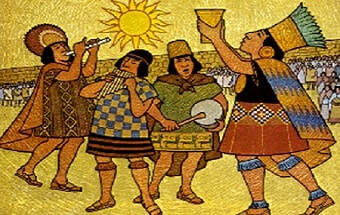 The life of common people was highly regulated and all commoners worked hard to support the Inca state. The Inca didn't have a lot of technologies we often consider important to advanced societies. They didn't use the wheel for transport. They didn't have a writing system for records. They didn't even have iron for making tools. How did they create such an advanced Empire? The Inca were problem-solvers. 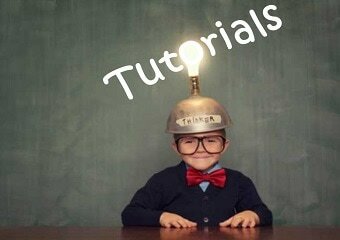 When faced with a problem, they came up with effective solutions.